If you are opting for a virtual private server, this means you need a host for a large site which has huge amount of traffic. Cutting the conversation shot, DigitalOcean leads GoDaddy when it comes for a reliable and value-for-money VPS host. This does not mean that GoDaddy is bad if you need a VPS for hosting your website. But in order to effectively manage the online traffic on your website, DigitalOcean offers way more benefits within a small budget. What Makes DigitalOcean Better Than GoDaddy? To begin with, DigitalOcean is faster. You can expect your website to load way more quickly with DigitalOcean than GoDaddy. The server is up 99.99%, while GoDaddy is 50% or even less. Digital Ocean offers you with all the necessary tools to manage and control the resources such as PostgreSQL, Ngix, CentOS and much more. 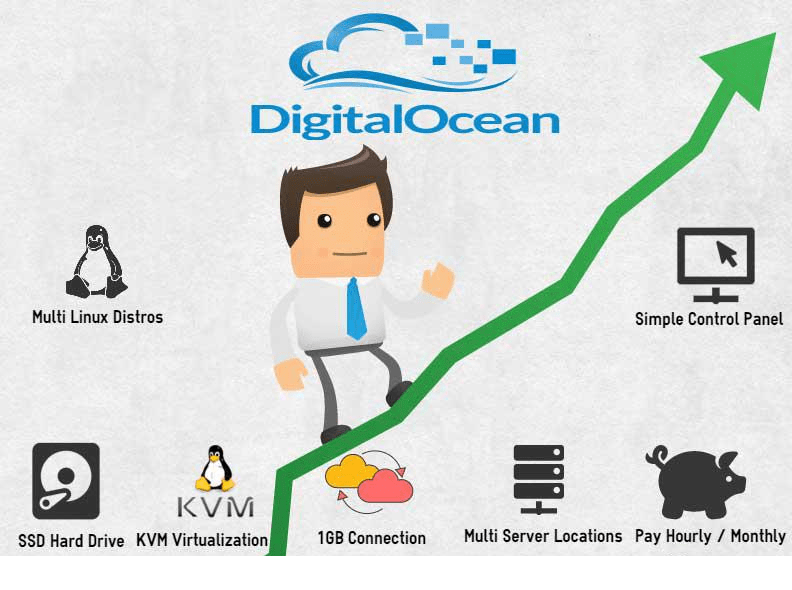 The VPS hosting plans offered by Digital Ocean can be tweaked whenever you want. Clear billing cycles and methods of payment. The billing with GoDaddy gets confusing sometimes and they often up-sell their services in the form of add-ons. DigitalOcean is developer focused, when it comes to VPS hosting, whereas GoDaddy is more of an online shop. DigitalOcean has a simple and highly responsive feedback system and you can use the ticketing system to address your issues. The interface for DigitalOcean is easy to understand, which is important for VPS hosting. No queue for the your request on Droplets. Setup Time Adding a domain takes some time. Adding a domain takes less than a minute. Setup Complexity Easy Graphical User Interface, Tons of resources to help you setup the website. DigitalOcean has a very active community to help you get started. There is no denying the fact that GoDaddy is among the largest web hosting service providers, but when it comes to value for money and managing huge amount of traffic, DigitalOcean is a clear winner. The VPS hosting will offer you relatively better performance at cheaper pricing.